Evidence Live is an annual conference, jointly hosted by the Centre for Evidence-Based Medicine, University of Oxford and The BMJ. 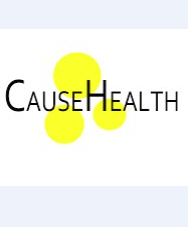 This year, CauseHealth was represented in two of the sessions, by Elena Rocca and Rani Lill Anjum. The first session was initiated by Philosophy of Pharmacology PI, Barbara Osimani, and was on Philosophy of Evidence: Dimensions of Evidence and Criteria for Standards Improvement. With her, she had the former and current directors of WHO’s Uppsala Monitoring Center for Drug Safety (UMC), Ralph Edwards and Marie Lindquist, Consultant Physician and Clinical Pharmacologist, Jeff Aronson, University of Oxford, and Elena and Rani from CauseHealth. The ”reproducibility crisis” revealed the need for a deep reflection on current approaches to evidence evaluation and their reliability. Hidden moderators, publication bias and low power have been identified as possible sources for such results. Instead, some understand the failure of replication simply as a result of random error. Finally, others suggested to adopt a more comprehensive view to the analysis of evidence. Philosophy of Science and Epistemology can fruitfully complement Statistical knowledge, Epidemiology, and Medical Methodology in analyzing medical evidence from different perspectives. The roundtable intends to offer such an opportunity and to examine the interaction of different dimensions of evidence, such as consistency, reliability, variety with respect to methodology, context of enquiry, and theory. In this session, Elena gave a brief presentation of how in pharmacovigilance, it is not enough to know that a drug is causally linked to the targeted effect: the treatment. In addition one needs to know which other dispositions the drug has, to produce side-effects, for instance. A problem with such side-effects, however, is that they are often rare and difficult to discover in clinical studies. Instead, she argued, that much can be learned about the causal dispositions of a drug from studying cases of causal failure in individual patients. ← Evidence based medicine. What evidence, whose medicine, and on what basis?